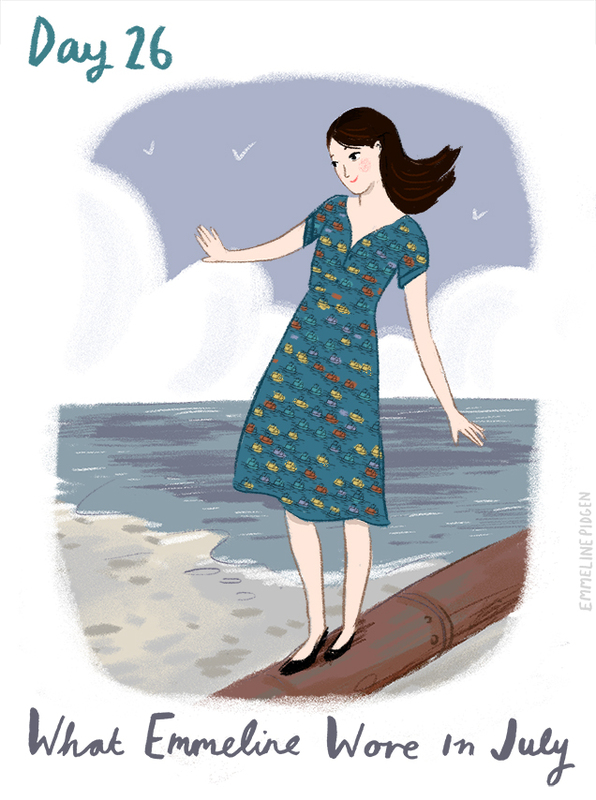 Emmeline Illustration: What Emmeline Wore In July - Day 26. Seasalt in Cornwall. What Emmeline Wore In July - Day 26. Seasalt in Cornwall. Today I'm wearing this absolutely gorgeous Penn Tir Seasalt dress...which is pretty apt as I'm heading down to visit my family in Cornwall! 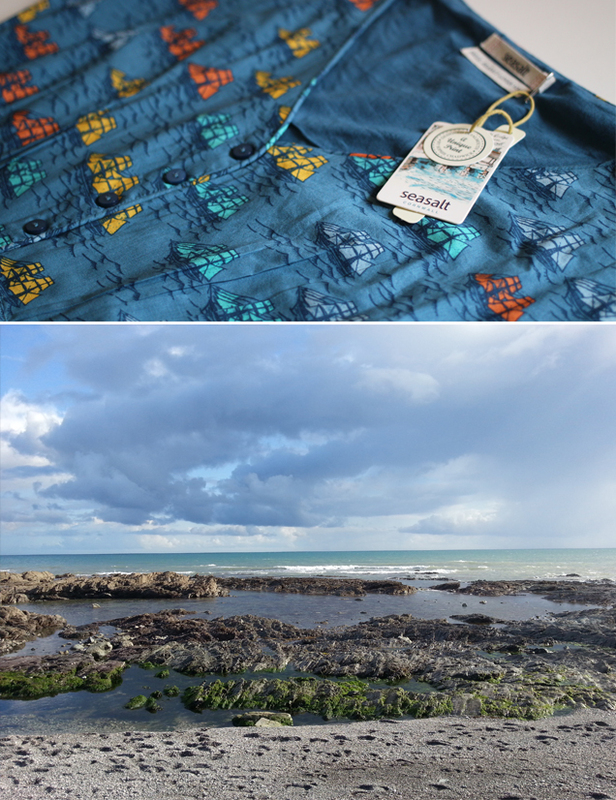 This high-seas pattern was designed in Falmouth (where I spent my uni years) and is featured as one of Seasalt Cornwall's unique prints. Browsing through their website made me yearn for the South-West, so many of their clothes are named after Cornish towns and old haunts. I'm going to update this post with some extra snaps of me in the dress when I get on the beach later today (it's a bit rainy here in Lancashire). I can't wait for salty-air, seaweed and quality family time, hurray!